(Toronto, Jan 19th, 2018) We are thrilled to announce that JMIR Serious Games will have its inaugural "official" impact factor for 2017 released in mid-2018 by Clarivate Analytics. 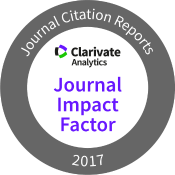 Clarivate (formerly the IP division of Thomson Reuters) is in charge of the calculation and publication of "official" impact factors in the annual Journal Citation Reports (JCR). After a rigorous evaluation process over the past 4 years, Clarivate has admitted JMIR Serious Games into the Science Citation Index Expanded (SCIE), and the Journal Citations Report (JCR). The JCR to be released in June 2018 will list the official 2017 impact factor for JSG. Update June 27, 2018: JMIR Serious Games has received its first Journal Impact Factor and it confirms JSG as leading journal! The 2017 Journal impact Factor for JSG is an impressive 2.226. This puts JMIR Serious Games at the top of gaming-related journals, ahead of (for example) the Games for Health Journal (JIF 1.876). For details and a ranking of all Games journals see here.